Bodireel is a new data analytics and lifestyle management software app which automatically analyses the benefits, or not, of the lifestyle choices users make. It allows users to manage and improve all aspects of their health, exercise and nutrition on a smartphone, tablet or pc. It can be used by all levels - the elite professional athlete, a beginner running their first 10k, someone trying to lose weight or even control their diabetes. Train smart, Eat right, Live well. 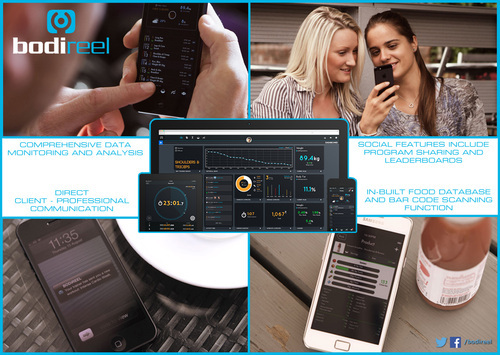 The ultimate health, lifestyle management and training data analysis tool.